Cambodia, in contrast to neighboring countries, has a soft visa regime and a much more favorable investment climate. Foreigners in the Kingdom of Cambodia can own 100% of their companies, and can lease land and real estate in Cambodia for 99 years. Sihanoukvilla.com presents the best projects for investment in Cambodia and Sihanoukville. Koh Tang island, located in the heart of the Gulf of Thailand is unique in terms of geographical location, as well as untouched by civilization gem in its natural and ecological characteristics. Mangroves, coconuts, bananas, pineapples and mangoes, bamboo groves, the lack of snakes, and predators. 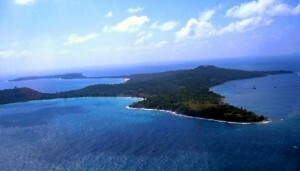 On one side of the island is cut by five lagoons stretching from 500 m to 5 km. 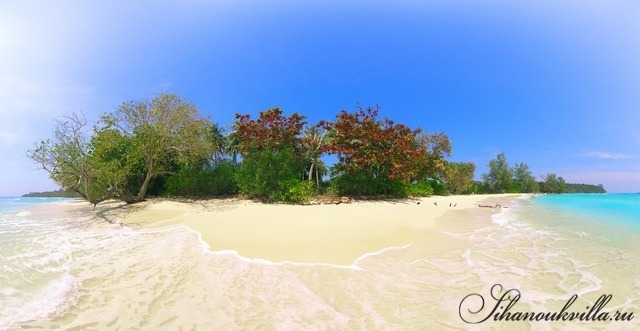 with the pristine white sand beaches, emerald-turquoise waters and no waves. From the rocky side of the island are still two small cozy beach, the depth reaches 22 meters, and the purity of the water allows you to see the diversity of the underwater world at the bottom of the sea (corals, sea urchins, fish, crustaceans, mollusks, plants). The island has a great variety of tropical flora and fauna, six natural lakes, one with thermal springs, two rivers, large amounts of water at a depth of 2-3 m underwater currents around the island do not let the sharks, jellyfish and stingrays, and the pass at a distance of 50 meters from the shore. One of the objectives of the project – the creation of the “Island of Dreams” at the expense of complexity, independence of the infrastructure and the environment: Koh Tang Project is a large-scale integrated kurorortno and entertainment development on the island of Koh Tang, carried out on a large, free of existing facilities the land size of 510 hectares. This approach allows the design work without restrictions defined by the old buildings and infrastructure; used in the construction of modern technologies and materials, which in turn allows you to save the environment, as well as create a comfortable living environment and leisure in line with modern trends.